The second broadside and the second publication offered by the press, this poem is a beautiful example of McGrath’s accomplished and distinctive voice. 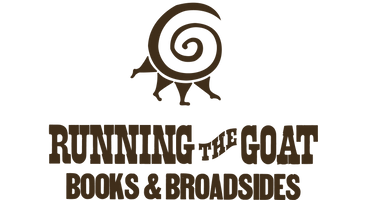 Like the poems in Ghost Poems, Running the Goat’s first chapbook, it grows out of McGrath’s childhood in outport Newfoundland. Printed in 18 pt Bembo on Lana Laid in an edition limited to 45 copies, signed by the author.